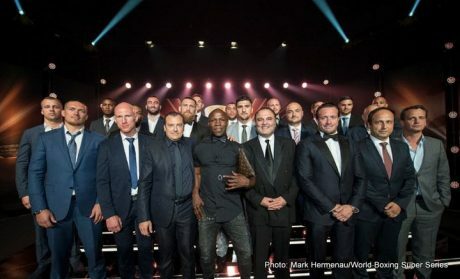 The star-studded World Boxing Super Series kicked off in style on Saturday night in Monaco when the quarter-final pairings were determined during the Draft Gala at the famed Grimaldi Forum. In a 50-minute live TV show, all stars came face-to-face live on stage, with the top four seeds picking their opponents from the unseeded boxers. The quarter-finals will take place in September and October, with dates and venues to be announced in due course. The winners of the revolutionary bracket-style elimination tournament will receive the Muhammad Ali Trophy, The Greatest Prize in Boxing. 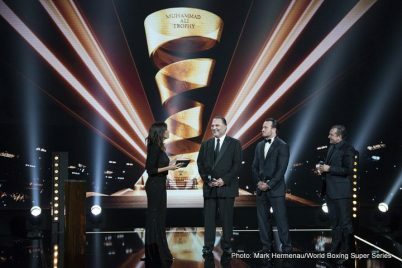 The drama in Monaco unfolded when the super-middleweights were called onto the stage. 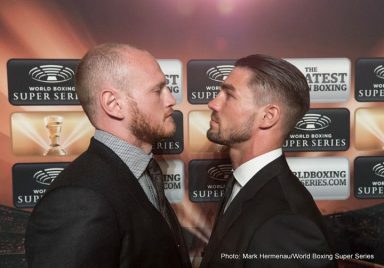 As the top seed, WBA Super Champion George Groves had four opponents to choose from. 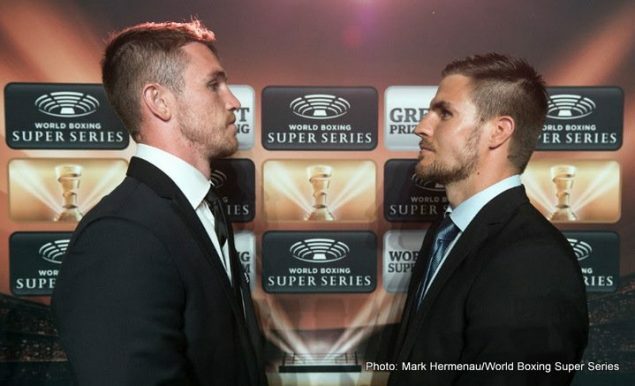 He picked British rival Jamie Cox for a “domestic dust-up.” Second-seeded Callum Smith then selected Swedish sensation Erik Skoglund, with the WBC Diamond Championship on the line due to Smith´s status as the WBC´s top-ranked challenger. 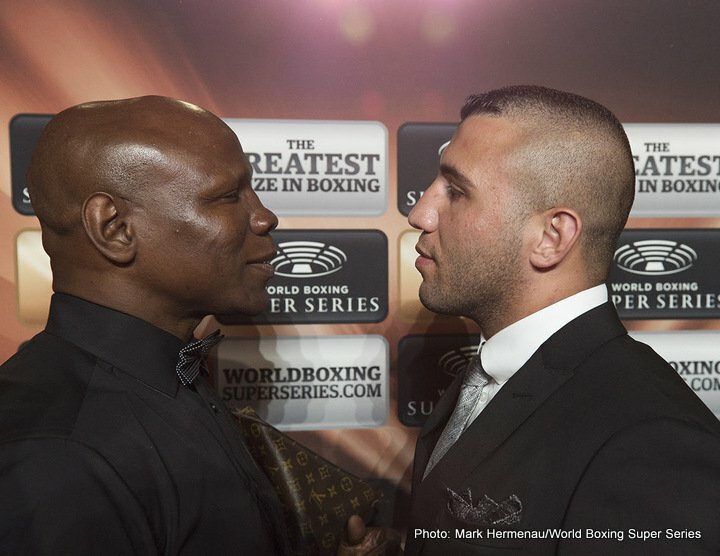 The third seed was given to the winner of next week´s showdown between Chris Eubank Jr. and Arthur Abraham. With both fighters in training, this pairing was represented by Chris Eubank Senior, who chose “The Dentist” Avni Yildirim. This set the stage for the fourth quarter-final between fourth-seed Juergen Braehmer and undefeated US challenger Rob Brant. The cruiserweight line-up featured all four reigning champions, two former champions, a KO king and a rising challenger. 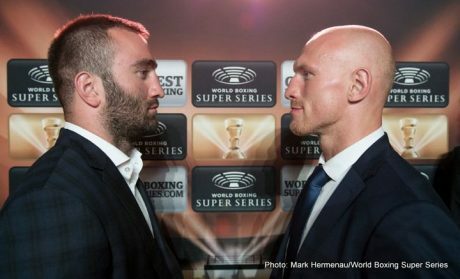 Second-seed Murat Gassiev, the IBF Champion, did not get to pick an opponent because he has to face mandatory challenger Krzysztof Wlodarczyk. 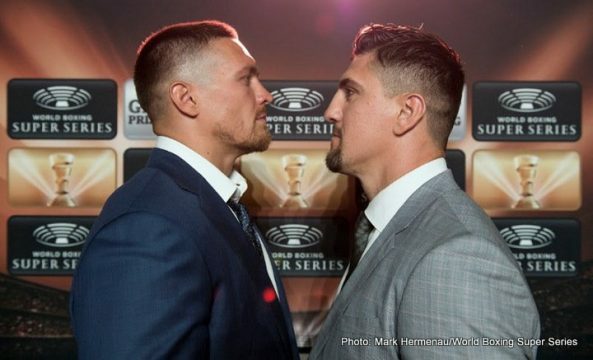 This left Olympic gold medal winner Oleksandr Usyk, the first seed, with Marco Huck, Dmitry Kudryashov and Perez as potential opponents. 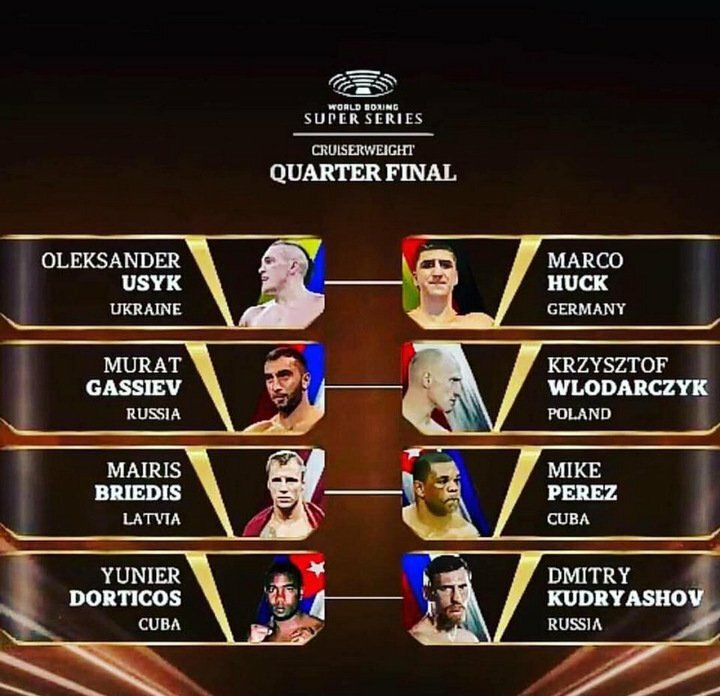 Usyk selected Huck, with third-seed Briedis then picking Perez. 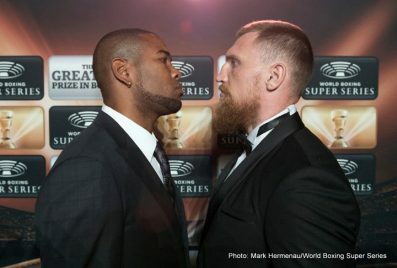 This also set up the clash between fourth-seeded Dorticos and “The Russian Hammer” Kudryashov. Me and Jamie are old buddies. We’ve known each other a long time now. I quite fancied a bit of a domestic dust up. I wanted to pick my countryman. I know he wanted to fight me. I’ve provided him a great opportunity. He’s fighting for a World title. It’s also a strategic move. It’s a long tournament so I picked the easy guy first. I was looking forward to getting a UK dust up. George picked me and that makes for a great fight. It’s time to bury a seed! There were four really good fighters to pick from, three left for me. I just think stylistically Erik is the best fight for me. To kick off the quarterfinals against an undefeated top guy for the WBC Diamond belt is massive. I couldn’t be happier with the choice. Avni is a come forward fighter. I don’t think he knows how to go back. He brings war, and that will make for a spectacular fight. Once my son gets past Arthur Abraham, he will do the same to Avni. Chris Eubank Jr is an upgraded version of me. I am very happy to be here. Good luck to the winner of Eubank and Abraham because it is my time now. Since I could not pick any opponent any more, I got the strongest guy. The others apparently avoided him. I look forward to the start of the tournament and I am curious to find out when and where the fight will take place. There’s not an easy fight in this tournament. Whether it was the first person to pick or the last person they are all champions. I’m ready to do my best. I want to say thank you for everyone who made this tournament. I’m very happy to be here. I’m fighting Krzysztof because he is my number one contender. He is a tough opponent and I’m sure we give boxing fans a great fight. I’m very happy because Gassiev is a good fighter and a tough guy. We will give people a good fight. I picked him for my fans. This is my wish opponent. People say he is really good – an Olympic and World Champion – but we will see when he gets in the ring with me. He is a great fighter from Cuba. He comes from heavyweight division and will give me a tough fight. It’s a great challenge. He’s a champion so I’m looking forward to it. It’s going to be my first belt. I’m looking forward to the fight. It’s going to be a great fight and something really interesting for the fans. I’m happy with this opponent. It will be a good fight.